Pass the tail end around the standing end. Pass it around again. Tuck it in beside the first turn and pull it up tight to form an Awning Hitch. Continue around and tie a half hitch to make the Midshipman's Hitch. A Half Hitch in the reverse direction makes an Adjustable Hitch. 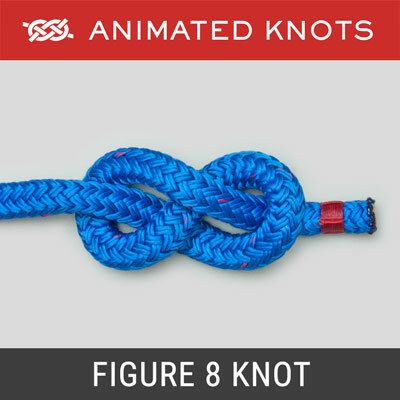 Structure: The Midshipman's Hitch (ABOK # 1855, p 310) creates an adjustable loop in the end of a rope. The knot can be slid up and down the standing end but when tightened holds securely. Confusing Nomenclature: A useful summary of the history, the names, and the related knots can be found on Wikipedia. We use Ashley's choice – Midshipman's Hitch – but also show the name Taut Line Hitch here to help people locate this knot. Adding to the confusion is the fact that knot names change depending on where they are tied: the Midshipman's is formed by tying a Rolling Hitch (Ashley Version 2) (ABOK # 1735, p 298) to secure the tail to the standing end. 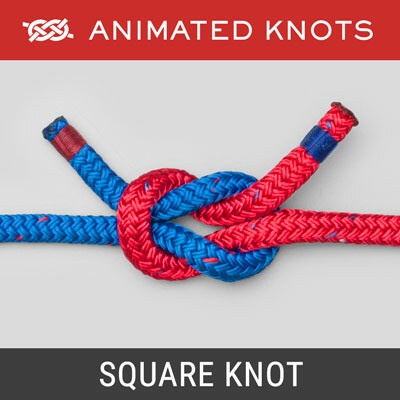 Advantages: This knot is relatively easy to tie or untie under load and, even after being heavily loaded, it is reasonably easy to release. Better Version: The Midshipman's Hitch described here is better than the "Taut Line" version described below because it creates the useful intermediate Awning Hitch; this takes the strain while tying the final Half Hitch and the completed hitch is more secure. Choice of Rope: When Ashley wrote his book, tarred hemp was widely used and knots usually held reliably. Three strand twisted nylon is more slippery and a Midshipman's Hitch may slide over time – an extra turn on the first part and/or an extra half hitch may prevent this. 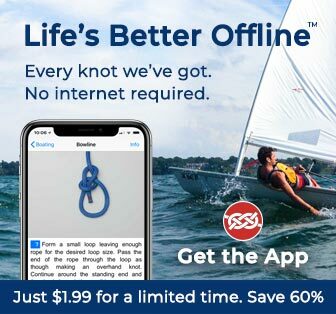 Some modern ropes are far more slippery: with Spectra®, Dyneema®, and Polypropylene, it is wise to assume that a Midshipman's Hitch will just slide. Overboard: The Midshipman's Hitch is promoted by Ashley (ABOK # 1993, p 325) as the only knot to tie in the following unlikely but critical circumstance: you fall overboard and catch hold of the line which you have prudently left trailing astern and find yourself hanging on with difficulty. Before you tire, you manage to bring the bitter end of the rope around your back. 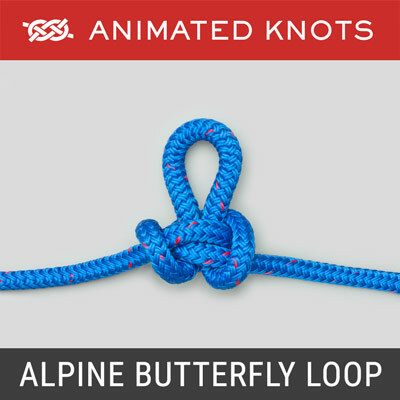 You then have to tie a suitable knot to make a loop around you. 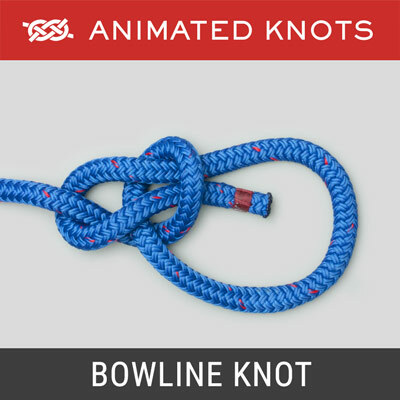 A bowline cannot be tied under load. Two Half Hitches will slide and constrict you. The Rolling Hitch is the answer. Even as the second turn is tucked "up" into the correct place, the major strain is taken and the final Half Hitch can be tied with less urgency. 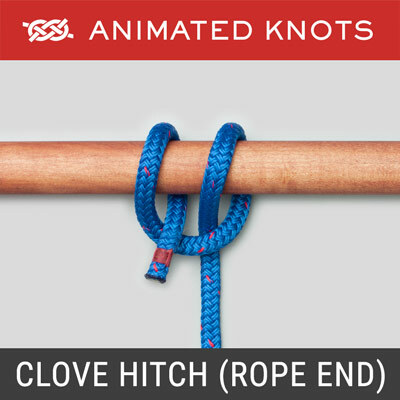 Awning Hitch: Animation frame 7 shows the tail end pulled hard to lock it as an Awning Hitch (ABOK # 1854, p 310); this temporary hitch can be useful when rigging a tent because it allows all lines to be adjusted and then secured later with the final half hitch. 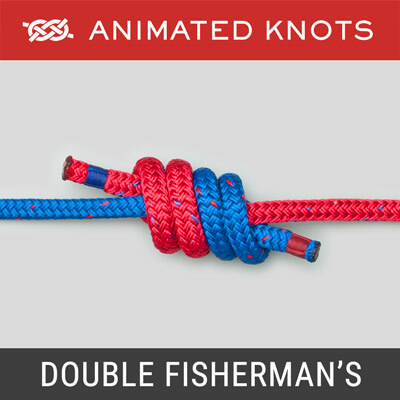 Adjustable Hitch: The final half hitch normally continues around in the same direction. However, this can be reversed as shown in the last animation step – "Adjustable Hitch" – (ABOK # 1800, p 304). Ashley claims that the Adjustable Hitch version is less prone to twist. It is, however, also harder to dress and tighten. Less Secure Taut Line Hitch Version: The Taut Line Hitch frequently taught by Scouting groups is less secure because it uses Version 1 of the Rolling Hitch (ABOK # 1734, p 298). Ashley recommends Rolling Hitch Version 1 for securing rope to a pole, but not for tying rope to rope. Moreover, when tying the Taut Line Hitch, the second turn simply spirals around the standing end. This means it does not form an Awning Hitch and cannot take any strain. Regrettable Change: The 1948 (5th edition) of the Boy Scout Handbook included the Midshipman's but used the name Taut-Line Hitch. Inexplicably, after the 5th edition, the Boy Scout Handbook retained the name but showed in its place the less secure version (ABOK # 1856, p 310). I live in hope that Scouting organizations will abandon both the Taut Line Hitch, and its name, and teach instead the Midshipman's Hitch. To reinforce the need for this change, the misspelling "Taught Line Hitch" is astonishingly widespread.